Discover the rich history of the Lewis and Clark Expedition. Nearly two hundred years ago, a party of explorers under the leadership of Meriwether Lewis and William Clark ventured into the regions of the American West. The Corps of Discovery, as the team was designated, spent more than two years realizing the richness of the geography, resources, and peoples along the way from St. Louis to the Pacific Ocean. Committed to initiating peaceful and productive relations with the several nations of peoples it encountered, the Lewis & Clark Expedition represents an important milestone in the history of the North American continent. Especially notable in the places we now call Idaho, Washington, and Oregon, the interaction the party had with the Nez Perce people typified the spirit of cooperation and hospitality which not only contributed knowledge to the mission, but, in fact, kept it alive. In 1803, the American West started at the Appalachian Mountains, and the Lewis and Clark Expedition of 1804-1806 carried the destiny of the young United States westward. Learn of the vision of President Thomas Jefferson to open the West, and the accomplishments of Captains Meriwether Lewis and William Clark and their "Corps of Discovery." Today's trail follows their route as closely as possible given the changes over the years. It is approximately 3,700 miles long, beginning near Wood River, Illinois, and passes through portions of Missouri, Kansas, Iowa, Nebraska, South Dakota, North Dakota, Montana, Idaho, Oregon, and Washington. Capture the sometimes subtle, sometimes magnificent scenic beauty along the trail, visit historic sites, and enjoy the wonderful recreational opportunities. Located deep in the heart of the Clearwater Mountains, the twin communities of Weippe and Pierce are a jump-off point for hundreds of thousdands of acres worth of recreation. In 1805, Lewis and Clark had their first encounter with Nez Perce Indians on the Weippe Prairie, not far from the present townsite. A stone monument commemorating the event has been placed along the highway entrance to Weippe and on the John Opresik farm where the actual meeting took place. The word Weippe was orginally spelled "Oy-ipe" by General Howard in his journals. A late Nez Perce historian said the name meant "very old place". The Nez Perce also say it may have something to do with a spring of water or camas ground. The Weippe Prairie was also the scene of horse racing, games and other sports by the first inhabitants. This tradition is still carried on each year with the Annual Weippe Rodeo, an event for all cowboys or all cowboy-want-a-be's. The town of Pierce was named for E.D. Pierce who discovered the first gold in Idaho in 1860. E. D. Pierce was also the first man to scale California's Mt. Shasta. Pierce and his party laid out the town and called it Pierce City. In the late spring of 1861 several thousand miners crossed the Weippe Prairie to the Pierce gold mining fields. By that summer there were 1600 claims filed in the Pierce district. The gold rush brought about the construction of Idaho's oldest government building, the Pierce Courthouse, which was erected in 1862 to register miner's claims. It is located one block east of today's Main Street at the corner of Court Street and First Ave. In 1903 the government completed a survey, and soon another boom engulfed the district, timber became the real weath. On the west side of Main Street next to the town library, you will find a screened display that contains a bateau used on Clearwater River log drives. It is only one of four surviving in Idaho. In 1805, the Lewis and Clark Corps of Discovery found there was no waterway to the Pacific Ocean. Instead, there were forests and mountains that were almost insurmountable. The Flathead Indians directed them to a 2000 year old trail leading to buffalo hunting grounds. Nez Perce hunting parties usually made their trek every two years. They stayed at the hunting grounds for months, then returned to their Paradise along the Clearwater corridor. The Lolo Trail stretching from the Idaho-Montana border near Highway 12 over the mountain ridges to Orofino, is part of that ancient trail. The rugged mountains, the dense forest, the swift flowing rivers remain pristine, becoming a Paradise for visitors. 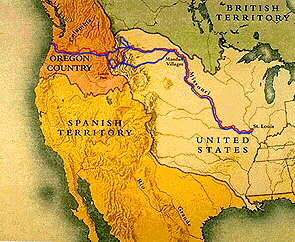 At the time of the Lewis and Clark expedition, our country was made up of an area east of the Mississippi River. There were 17 states and several territories that would later become states. In 1802, the French, who claimed the Louisiana Territory, closed the port of New Orleans to American shipping. Shipping goods down the Mississippi and through the port of New Orleans was important to Americans. President Thomas Jefferson wanted to buy the port of New Orleans from the French. 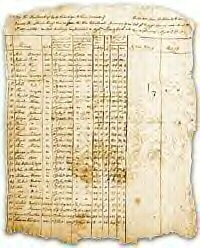 The French wanted to sell not only New Orleans but the whole of the Louisiana Territory for $15 million, or about three cents ($.03) an acre. The Louisiana Purchase almost doubled the size of our country. Jefferson wanted to find out more about the lands, plants and animals in the Louisiana Territory and also more about the area further west. He wanted the explorers to establish peaceful relations with the Native Amerian tribes they met along the way. In addition, he hoped to find a good way to reach the Pacific Ocean. Two men were selected to lead the expedition. Meriwether Lewis was a Virginian who had served as Jefferson's private secretary. William Clark, also a Virginian, had been an Army officer. Lewis had served under him and asked him to be his co-captain. Lewis and Clark, with about 40 men, began their journey near St. Louis, Mo., on May 14, 1804. They passed through what is now Missouri, Kansas, Iowa, Nebraska, South and North Dakota, Montana, Idaho, Oregon and Washington. The 8,000-mile trip took more than 2 1/2 years. They returned to St. Louis on September 23, 1806. Sacagawea joined the party as an interpreter to the many tribes they were to meet. The Missouri River splits into three forks, or branches, in Montana. When Lewis and Clark arrived at that point, they were near Sacagawea's homeland where she had lived until the age of eleven (11). She began to recognize landmarks and pointed them out to them. There are no pictures drawn from life of her. The most familiar statue stands on the state capitol grounds in Bismarck, N.D. A copy of this statue will be put in the U. S. Capitol in Washington, D. C., in 2003. There is also a new golden dollar that honors the Native American woman Sacagawea (sah-Kah-guh-WEE-uh). She is known for doing much to make this important exploration a success. Many places in the West are named for her. Jean Baptiste Charbonnau was one of this country's first western explorers. Certainly he was the youngest. He was born in February of 1805, soon after his mother, Sacagawea, joined the Lewis and Clark expedition. She was a working mom. Most of the time, she carried him on her back -- more than 4,000 miles, from the Hidatsa villages in present day North Dakota to the Pacific Ocean and back again. William Clark called him "Pomp" or "Pompy". Lewis and Clark met Nez Perce Sept 20, 1805 at Quamis Flats. Musselshell Meadow is last active camas patch for Nez Perce. Samson Snyder built a telephone line from Greer to Weippe 1902.
courthouse and Idaho's earliest public building, still stands in Pierce. (208) 467-4670 or 464-2531. FREE Admission by appointment only. 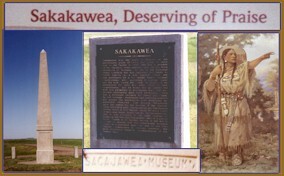 Before Lewis and Clark returned to St. Louis in 1806, Sacagawea and her husband left the expedition in North Dakota, where they had first joined it. Clark offered to educate Pomp when he was older. So when Pomp was 4 1/2 years old, his parents took him to St. Louis and turned him over to Clark for his education. The couple had planned to stay in the area to become farmers, but they longed to return to North Dakota. Sacagawea died on their journey back to North Dakota. She had given birth to a daughter, Lizette. A fur trader took the baby to St. Louis, but what happened to her is not known. When Pomp was 18 years old, a German prince asked him to visit him in Germany. For six years, Pomp lived with the royal family there. He returned to Missouri and took many different jobs. He worked as a trapper. During the Mexican-American War, he served as a guide for the Army. Pomp served as the mayor of San Luis Rey, CA, for a short time. He mined for gold near Sacramento, CA. He even worked as a hotel clerk. He traveled north to Oregon, where he came down with pneumonia and died at the age of 61 in 1866. Larson Century Ranc, Inc. would like to extend a warm WELCOME... in honoring with us the remarkable historic legacy of Lewis & Clark, and not least Sacagawea. See the REAL Idaho. Experience our pristine rivers and streams. Relax, breath deeply the clean fresh air, and step back in time with us to a historical moment in America's history. Organizations, schools and communities nationwide are making plans to commemorate the 200th anniversary of the Lewis and Clark expedition. The official dates are 2003-2006 however, events are already well under way. We'd love to show you the trail that runs right through our Ranch!! 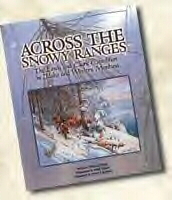 Join in the fun, education and adventure of the greatest expedition in American history! E-Mail: Rick@LarsonCenturyRanch.com for YOUR "customized" and "personal" guided tour. Don't delay. The story of the Lewis & Clark Expedition in the most difficult part of the entire route to the Pacific.